Though sewing was viewed as a necessity for people living during our grandparents’ time, nowadays it’s seen as more of a hobby. An amazing…and often expensive…hobby. f you want to sew because it gives you pleasure and satisfaction, but you have a budget that doesn’t allow for much “fun” spending, then you must become resourceful. 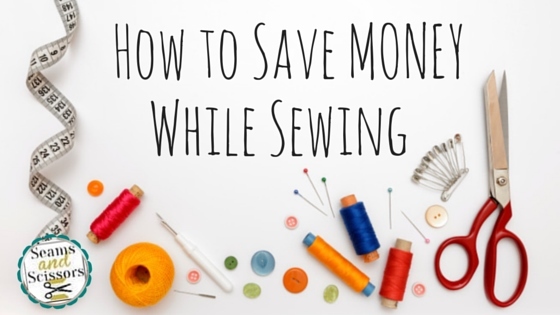 The great news is, sewing on a budget it a lot easier than you might think. There are oodles of free sewing patterns, coupons, and upcycling tricks to be found online, and don’t forget that there are seamstresses all around you that you can share ideas a supplies with! Learning to mend, repair, alter and upkeep your wardrobe and your home’s soft furnishings and textiles will stretch your budget dollar further and be friendly to the earth. 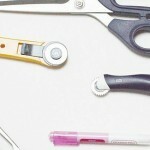 You could also pick up a little extra cash mending things for friends and neighbors. There are always coupons to be found online. Check for them before going to the fabric or crafting store. You won’t regret it! So many stores have either mailing lists, memberships, loyalty cards and other frequent buyer programs that are FREE, take advantage of these. Subscribe to a store’s newsletter and receive offers that are not available to the general public just walking into the store from off the street. 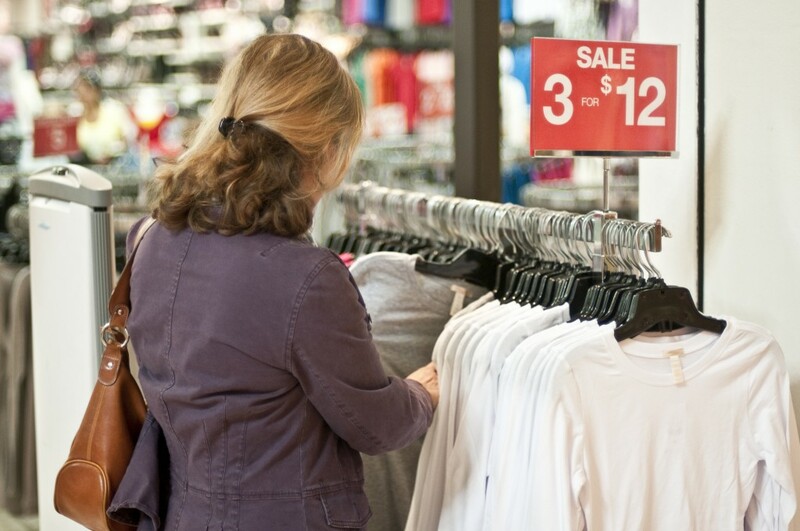 Shop at thrift stores, second hand shops, garage sales, charity sales and more. Often fabrics and supplies that have never been used can be found for cheap. You may even find some pieces just ripe for upcylcing! Recycle used clothing and sheets and every other fiber into a new article. Save those old curtains and turn them into pillows or garment bags to store your off season clothing. Turn that fabric from men’s shirts into shorts for the kids and even dresses for little girls. If you want to sew and keep your fabric stash alive, there’s no time to feel shame. Let everyone in your life know that you are willing to take all their unwanted clothes and household fabrics. People may throw away perfectly good fabric without realizing they’ve got a friend who could make great use of it. 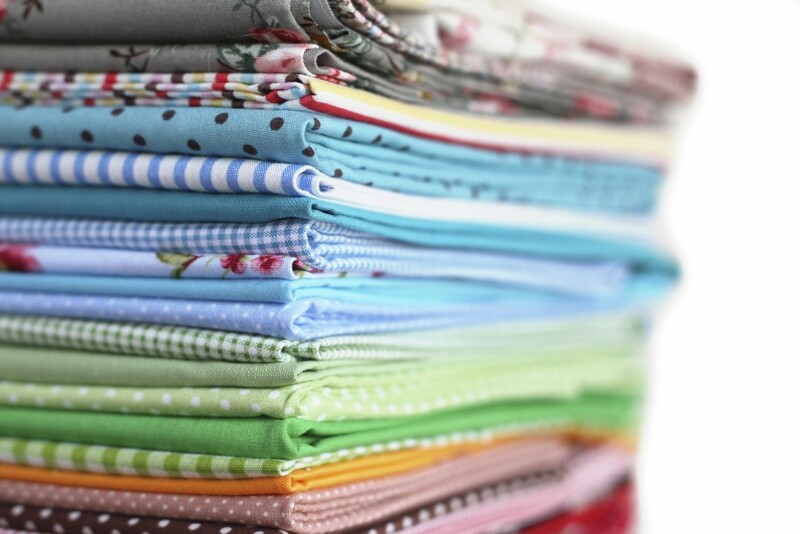 Buy in bulk with someone else who sews, and split the cost. I have personally done this on several occasions with my crafty friends. Take advantage of pre-season and post-season sales. Some fabric stores with loyalty or membership clubs send out invitations prior to the new collection of the new season in advance to their special customers allowing them first dibs on the newest and latest and even offer some incredible savings. Yes, it is good marketing and they do this to increase their bottom line, but hey there’s nothing wrong if it helps you out. Just make wise purchases. 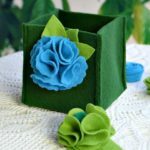 There are more free sewing patterns and free technique tutorials online than you would expect. Sites like this one are a plethora of free and wonderful information. It is possible to learn all the basics of sewing and even the advanced skills with a few strokes on your keyboard, or taps on your screen. Get together with other sewists you know and teach one another. You may even be able to connect with someone over Skype if you cannot meet to talk technique in person. 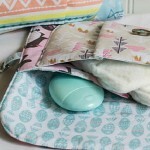 How do you stay thrifty while indulging your sewing talents? Ann is a mixed media artist who lives near Ottawa, Ontario Canada. She is the mom of two terrific teens, the wife of a very busy businessman, and servant to one fluffy cat.From sewing and most needle crafts, stamping, scrapbooking and a lot of paper crafts, to drawing, painting and working with inks, Ann is multi-skilled and never bored . She had some formal training with a short stint in fine Arts in College, many many workshops, and a lot of self learning.She also has experience workingas a consultant, teacher, and writer of various crafts.Her family motto is : Live well, laugh often, and love much. Great tips! I also buy thrifted bedsheets to use as muslin and I’ve never had to buy zippers or patterns at full price, I find awesome ones at the thrift store. I never knew this kinda site existed, I love going to used stores to see what kinds of fabrics I can find. Unfortunately where I live I don’t know of any place around here that people get together to swap techniques or share fabrics like the story said. I live in Horn Lake, MS, I thought it might help to know where I am from. I make my 1st stop at the fabric store the clearance table/bin… practically anywhere that sells fabric will have one ! I go to the remnant bin before even looking at new fabric. 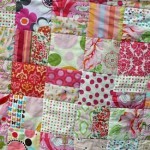 The quilts I’ve made would never have occured to me without remnant inspiration! I am 64 yr. old. My mother was raised in the 1920. She showed me how to recycle and upcycle as they did then. You keep all the buttons and zippers from a garment you are about to discard. 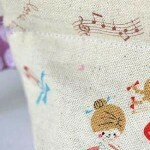 If you are sewing for children, you sew their garments with fabric that came from your used garments. You rip all seams and iron and fold the fabric and indicate the size of the fabric on it then store it. If you want cheap new fabric, shop for extra large garments that are on clearance, then use this fabric to sew. You can also shop at Value Village or Village Value (I never remember the proper name), and buy bedspread or curtains to sew cushions, placements, etc. 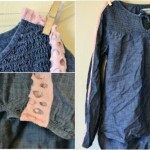 I am at the point that what I sew the most is doll clothing for my grand-daughter. So I shop at second hand store and buy toddlers garments and use the fabrics for that. These are great tips!! 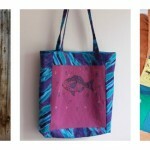 My whole blog is dedicated to projects made while being financially responsible and thrifty. Love seeing others out there with the same thoughts!